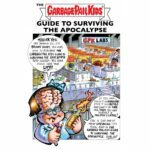 Topps Reveals the Print Run for Topps Comics – GPK #4 What Iz? Topps has been selective about their online comic releases. Every couple of weeks a new issue has come out. The first three issues sold well, much better than the other online exclusives. 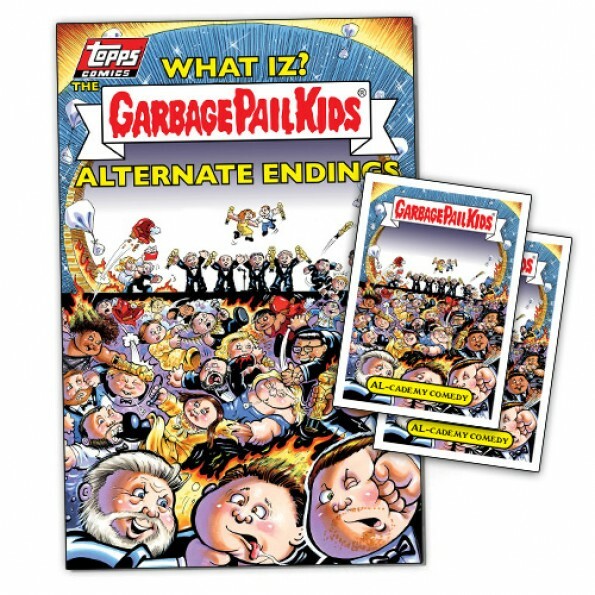 Today Topps revealed the print run for Topps Comics – GPK #4 “What Iz?” The Garbage Pail Kids Alternate Endings. The run of strong sales ended with this issue for Topps. Issue #4 sold a total of 204 copies, almost 30% less than the previous issue. 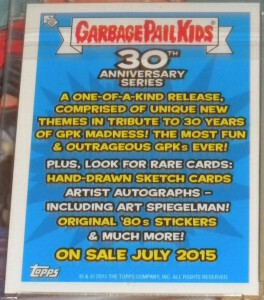 It will be interesting to see how long Topps continues with the comics, and how often the releases happen. The one online exclusive that sales has stayed strong on sales has been the Topps Comics line. 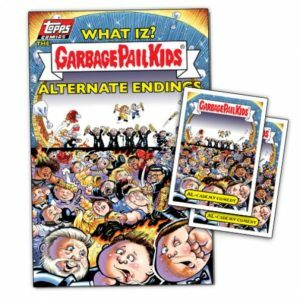 Today Topps launched Topps Comics GPK #4 What Iz? 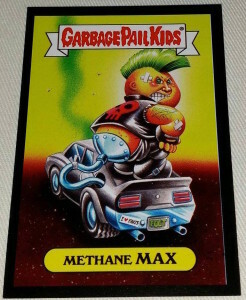 The Garbage Pail Kids Alternate Endings. This edition is filled with different scenarios on what would have if things ended differently, La La Land winning the Oscar, Hillary Clinton winning the presidency, etc. The 8 page comic, like previous issues, has been written by Pat Barrett. Artwork for the comic was completed by Joe Simko, Brent Engstrom, Fred Weaton, and Pat Barrett. 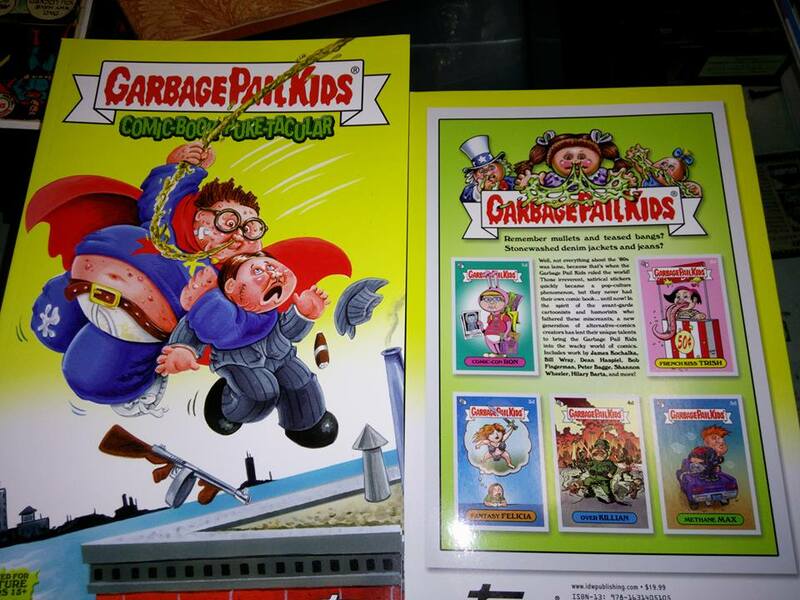 The comic ships with two GPK stickers, 4a – Al-cademy Comedy and 4b – Oscar La Vista. You can purchase the comic for $19.99 each or in lots of 5 for $89.99. There is no free shipping being offered, so expect at least $7+ added on for shipping. 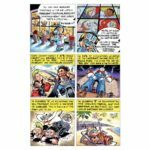 The comic will be for sale on topps.com for seven days. 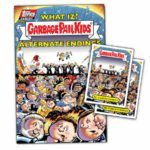 Topps will reveal the print run of the comic at the end of the sale. 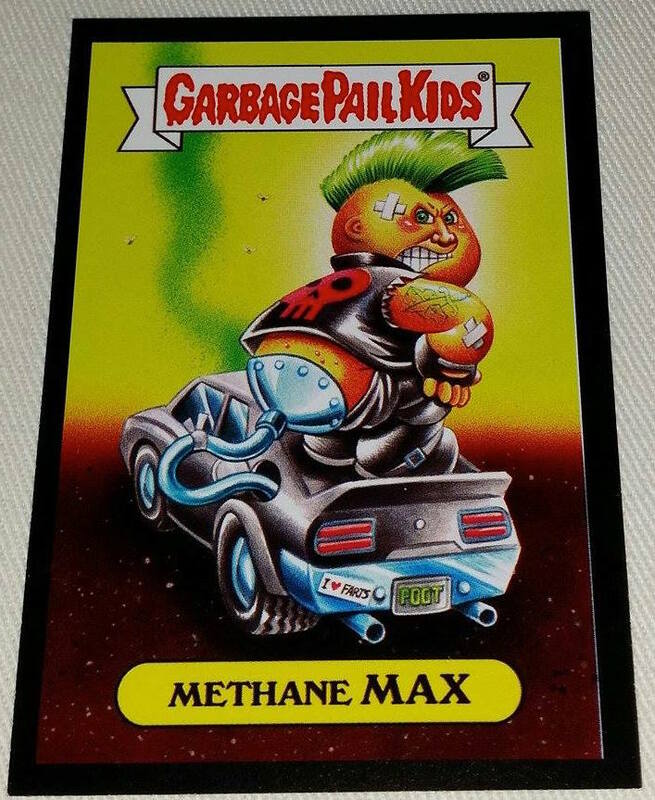 Here are some pictures of the new comic and cards. Topps Comics continue to be a solid seller for Topps. 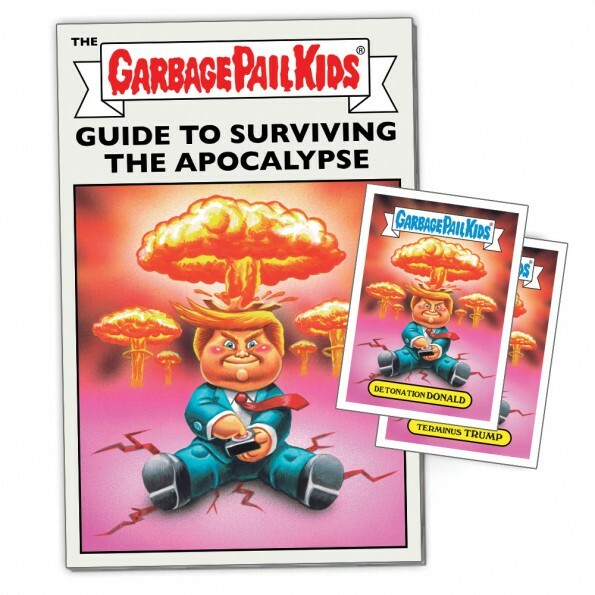 Today Topps revealed the print run for Topps Comics GPK #3 The Garbage Pail Kids Guide to Surviving the Apocalypse. Topps had taken a few weeks off from producing the comics. Sales for comic #3 ended earlier this morning after being on sale for 7 days on topps.com. The latest comic focused on the various ways the apocalypse is upon us during Trump’s presidency. Total sales ended up being 291 copies. While quite a bit less than comic #2, it did outsell #1, and the sales numbers are quite higher than the Trumoocracy cards have been producing. There is no telling when the next comic will hit the website, but Topps is bound to continue the series. After taking a few weeks off, Topps is back with another installment in their Garbage Pail Kids Comics series. Today Topps Launched Topps Comics – GPK #3 The Garbage Pail Kids Guide to Surviving the Apocalypse. This time the comic book goes through the various doomsday scenarios under President Trump. The comic book contains six pages like previous issues, and will come shipped with two cards, 3a – Detonation Donald and 3b – Terminus Trump. Each comic book/sticker set can be purchased for $19.99 or in lots of 5 for $89.99. Like the comics before, there is no free shipping, so expect to pay at least $7+ in addition. The comic will be on sale for 7 days via topps.com. Topps will reveal the print run at the end of the sale. Here are a couple of pictures from the inside of the comic. The presidential inauguration of Donald Trump brought out comic and GPK collectors alike for the second issue of Topps Comics. 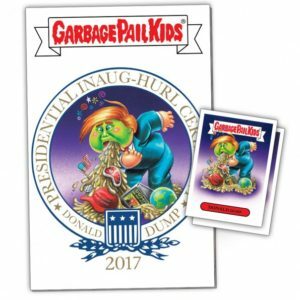 Today Topps released the print run for Topps Comics GPK #2: 2017 Presidential Inaug-Hurl Ceremony of Donald Dump. Sales for issue #2 blew away sales for the first issue, coming in at 455 copies sold. 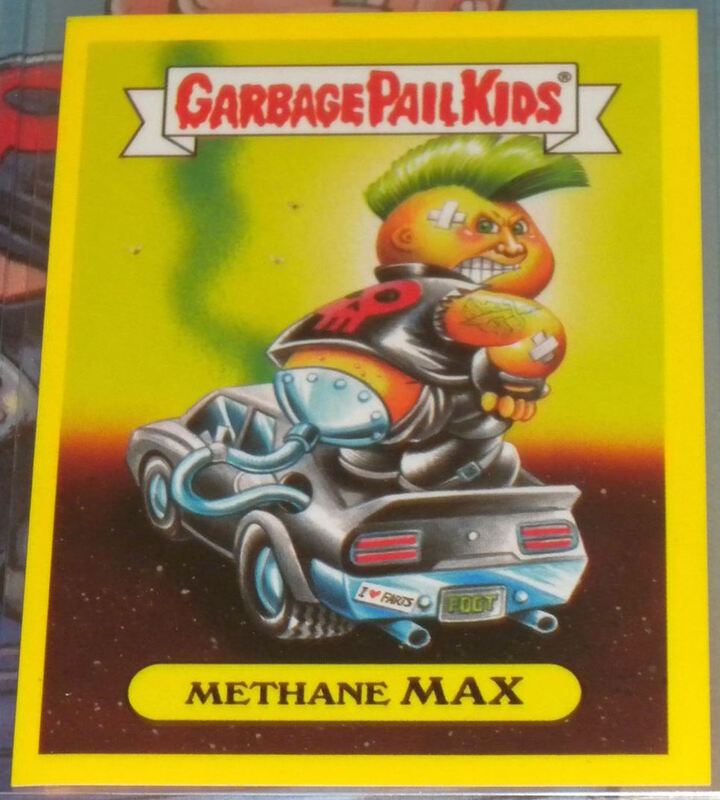 The comic book which cost collectors $19.99 + shipping, also came with two GPK cards featuring the same artwork as the cover. Look for Topps to continue issuing the comics if sales remain strong. 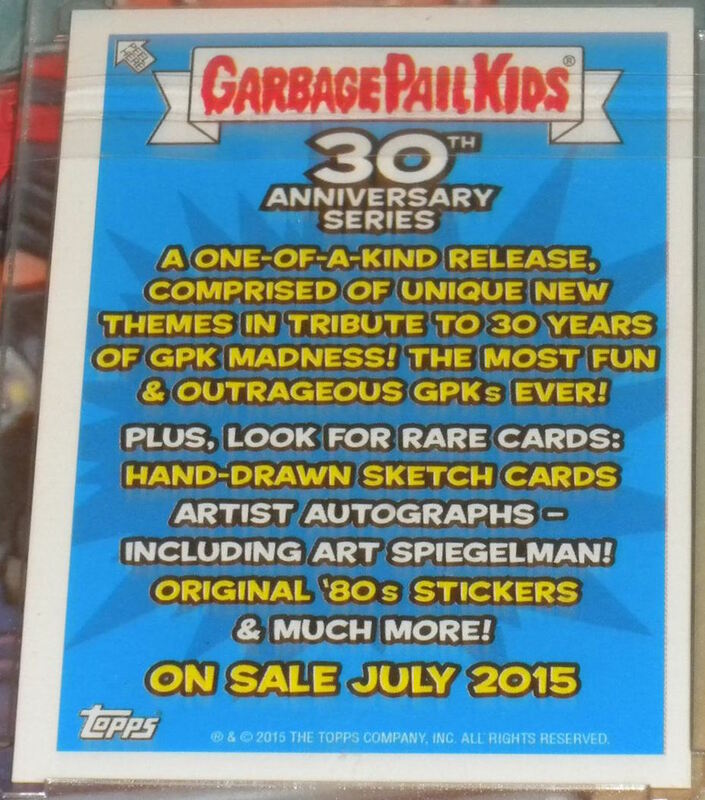 Topps decided one week ago to revive an old property, and turn it into an online exclusive. 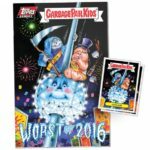 Today Topps revealed the print run for Topps Comics GPK #1 The Worst of 2016. 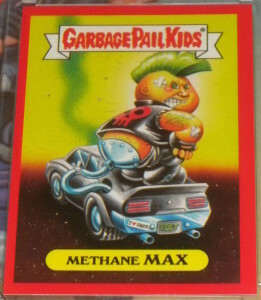 The comic, which also comes with two GPK stickers, cost $19.99 plus shipping. While sales numbers weren’t overwhelming, customers still showed up to purchased issue #1. A total of 265 copies were sold during the week the comic was available. It looks like Topps is shooting for a weekly release of the comic, as issue two also launched today. Topps has launched a brand new online offering, moving into the comic book space. 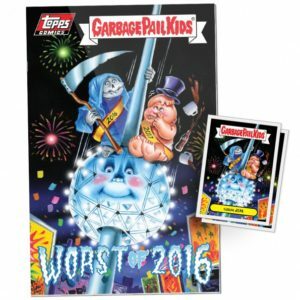 Today Topps launched Topps Comics #1 Garbage Pail Kids Worst of 2016. The comic book features new artwork on the cover by Joe Simko. There are six pages inside the box, with the artwork being done by Brent Engstrom and the writing by Pat Barrett. The comic also comes with two stickers, numbered 1a (Grim Jim) and 1b (Nervous Rex). Based on the numbering it appears this will be an ongoing series. 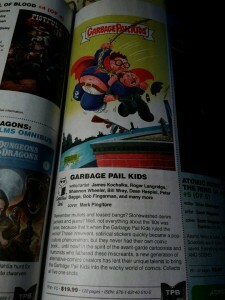 In a note on the Topps Blog they mention issue #2 will be out next week. 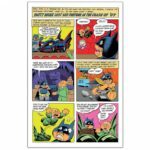 Each comic and card set can be purchased for $19.99, or in a lot of 5 for $89.99. Free shipping is not being offered, so expect at least an additional $7+ when ordering. 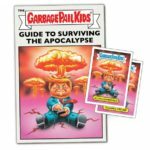 The comic will be on sale for 7 days on Topps.com. Topps did say they will reveal the print run at the end of the sale. Here are a couple pictures of the comic.